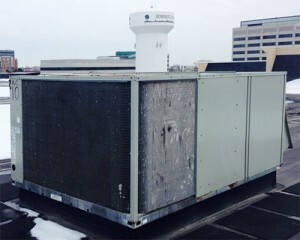 Regularly scheduled maintenance on a rooftop system is critical to keep cooling processes running smoothly. 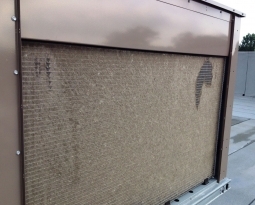 But imagine coil cleaning being done by an inexperienced maintenance tech with a high powered pressure washer in hand. You can end up with the delicate aluminum air intake fins being flattened due to high pressure water spray and potentially corrosive coil cleaner not being rinsed off thoroughly. 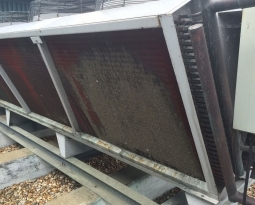 Hail storms and severe weather already add fin damage costs to cooling towers and rooftop equipment air intakes if left unprotected. 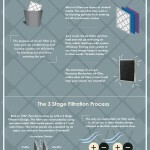 So why spend more time and money on realigning or replacing flattened fins due to maintenance mishaps? After your rooftop system has been cleaned by an experienced service professional, install Permatron’s HailStop® Hail Guard Netting, along with a PreVent® air intake screen for added protection against debris. 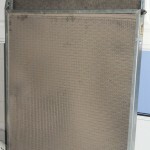 Future cooling system maintenance will be much easier and less time consuming with PreVent air intake filter screens. All you need is a broom or shop vacuum, and the debris brushes right off. Costly chemical cleanings will be reduced. In addition, HailStop protects your equipment from harsh hail storms. 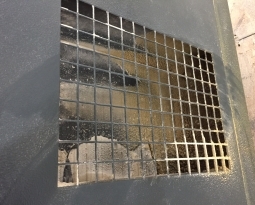 To comb and straighten damaged fins on a 25 ton RTU typically takes 1-2 days of man hours at about $85 per hour. Fin replacement on a 25 ton RTU, including replacement of the coils in many cases, can cost around $5000 for parts and $5000 for labor. Do the math, depending on the number of units per facility. Both HailStop and PreVent are an important proactive air intake solution to maintaining rooftop equipment runs at optimal efficiency. 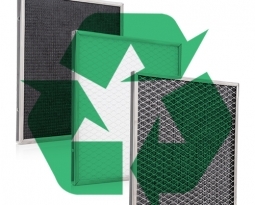 PreVent and HailStop are cost effective retrofit solutions for HVAC equipment owners. Request a quote here for HailStop Hail Guard plus PreVent to protect your rooftop HVAC system today.